This patio arm chair is constructed using UV and weather resistant materials that is low maintenance and easy to care for. 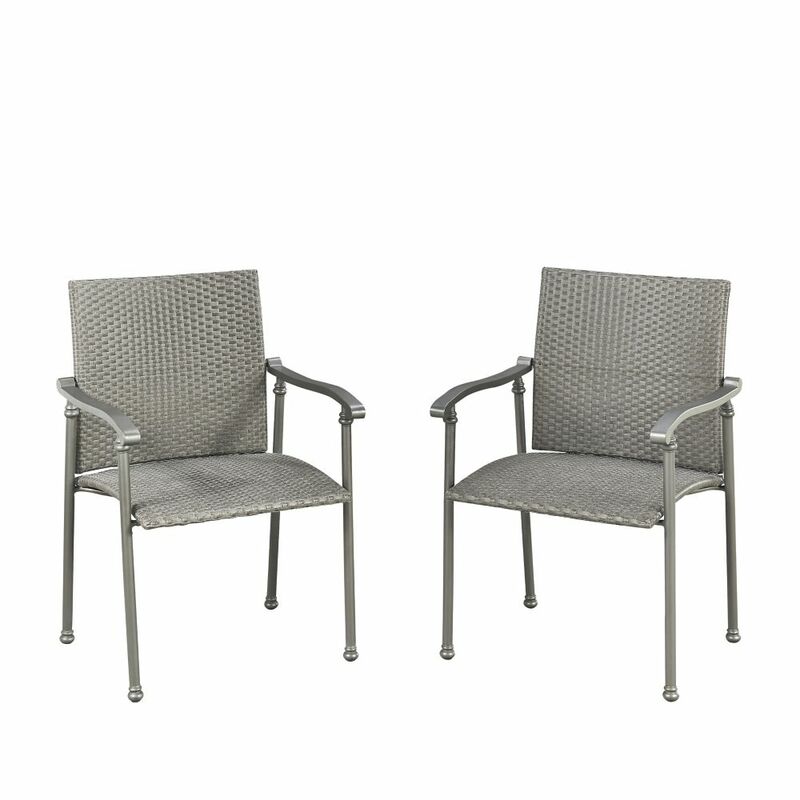 The beautiful blended grey resin wicker and padded seat and backrest combines design and comfort, making it easy to create a backyard space you'll love. The seat cover is removable and machine washable. Add relaxing in the cozy CorLiving Oakland collection to your summer plans. The PPO-801-C Chair with thick arm rests and deep back will compliment your backyard setting while offering a comfortable generous size. The PPO-801 series offers a Textured Black resin rattan weave complimented by high quality, weather resistant foam seat cushions wrapped in washable Dove Grey woven seat covers. Just add the legs, and the chair is ready to use upon delivery! Complete your summer with the comfortable and contemporary Oakland patio chair from CorLiving.